I’m reading my way through the Pulitzer Prize winners and finalists! 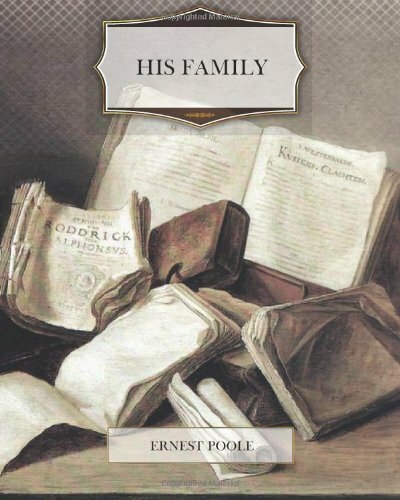 First up, His Family by Ernest Poole, winner of the very first Pulitzer Prize for the Novel. A Brief Summary*: His Family tells the story of a middle-class family in New York City in the 1910s. The family’s patriarch, widower Roger Gale, struggles to deal with the way his three daughters and grandchildren respond to the changing society. Each of his daughters responds in a distinctively different way to the circumstances of their lives, forcing Roger into attempting to calm the increasingly challenging family disputes that erupt. Review: This is a book about New York City, modernization, and all the different ways you can be part of a family. The book explores the relationships within a nuclear family, responsibilities to a larger community, and your duties as global citizen. I can understand why this book would win the very first Pulitzer, because it does embody a lot of the themes of a Great American Novel and I can see similar themes in the 1919 winner, The Magnificent Ambersons. However, the book was a little too didactic for my tastes. Poole is no Steinbeck, and I don’t think his mode of macro and micro story-telling really worked as well as it could. I would recommend this book to people who are trying to read all of the Pulitzers, who enjoyed going to the Tenement Museum, or are interested in books that tackle some of the larger social issues going on in the 1910s – World War I, women’s rights, and the rise of the automobile. The Magnificent Ambersons is up next! Read it for free at the Gutenberg Project.